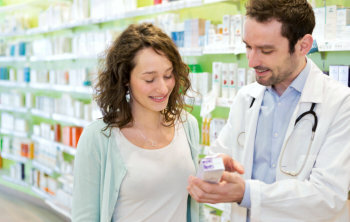 Our pharmacy team is eager to help you make sense of your medications. Just ask. Insured patients may be eligible for Medication Therapy Management Services. Medication therapy management, also referred to as MTM, is a term used to describe a broad range of health care services provided by pharmacists, the medication experts on the health care team. Essentially, some insurances ask us to follow up and educate patients on their medications, review goals of therapy for disease states, and empower patients to improve their health. Select insurances contract these services through Outcomes or Mirixa. As a participating pharmacy, we will contact you if you are eligible for these services.